Ants are a common pest problem, particularly over the long, hot summers in Geelong – many people get up in the morning to find a trail of little black ants winding their way from a window sill to a kitchen cupboard or across the bathroom floor. If this happens in your Geelong home, call Acacia Pest Control Services for removal and to solve the problem permanently, because often a supermarket-bought ant control spray or other off-the-shelf product will only get rid of the ants for a day or so, then they turn up in another area of the house or building. Argentine Ant – workers about 1.6mm long. Light to dark brown. Do not swarm. Bite but don’t sting. Black House Ant – shiny and black. 2.5 – 3mm long. Bull Ant – large, alert ants that can grow up to 40 mm long. Red or black. Very painful bite. Carpenter Ant – comes in various sizes. Major workers and soldier ants are the largest in size, but food gatherers and colony builder ants are smaller again. Coastal Brown Ant – about 1.5-2.5mm long, yellow-brown to brown. 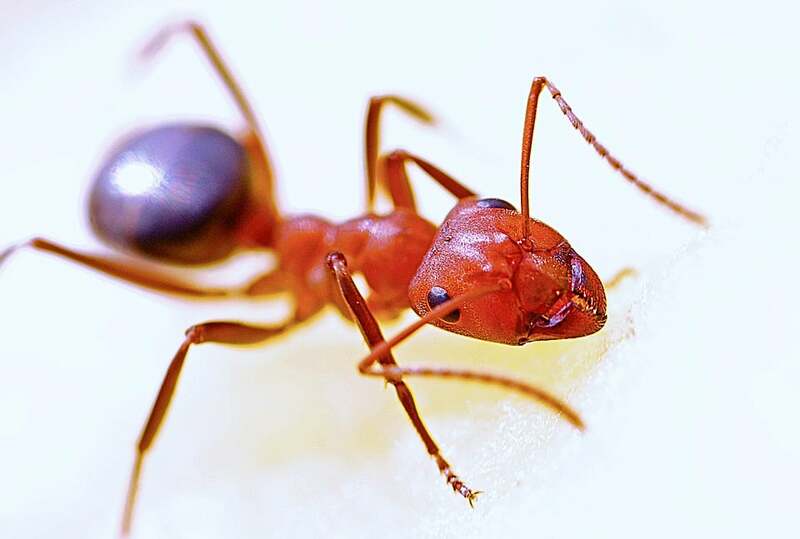 Red Imported Fire Ant – queen 1.59cm long, workers 3.18mm-6.35mm, coppery–brown head and body, with a dark abdomen, and the female reproductive ant has a distinctive two–segment antennal club. The fire ant is a special problem. It was first found in Queensland after arriving probably on a cargo ship from overseas. Almost $20 million is being spent to eradicate it in Victoria because if it gets a strong foothold, the fire ant has the potential to destroy Australia’s outdoor lifestyle. If you see a fire ant nest, or fire ants anywhere in Geelong, you must report it to the authorities immediately so exterminators can treat the infestation and apply removal techniques. If you think you’ve got a fire ant colony on your Geelong property, contact the Agriculture Victoria Customer Service Centre on 136 186. At Acacia Pest Control in Geelong we keep abreast of all the latest ant control and removal innovations. We support over 200 local businesses and over 10,000 houses and families by providing professional exterminators for removal solutions to ant infestations. Why Are Ants So Harmful? Small ant problems can develop into much bigger pest problems unless removal of the infestation from your house or premises is done correctly, which is why you need the services of a professional pest exterminator such as Acacia Pest Control Services in Geelong. Once our exterminators have identified your ant problem, they can use a range of powerful remedies to deal with them, with removal as the aim. 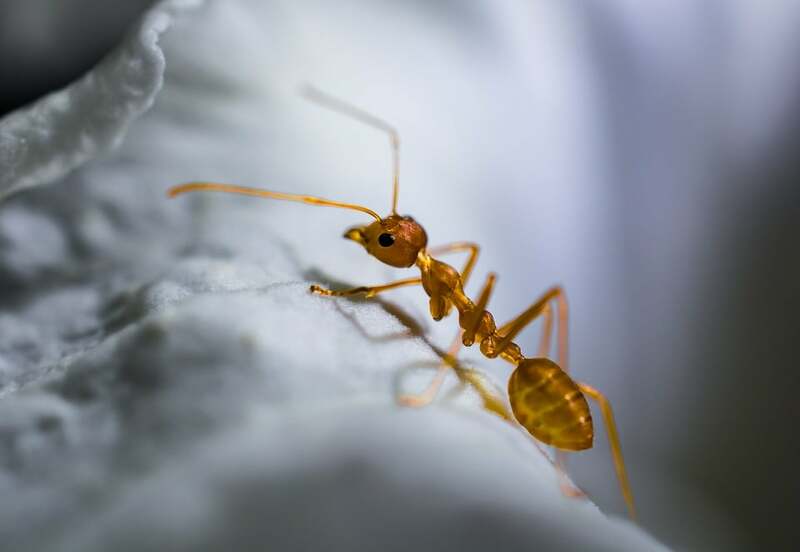 Treatments are specific for your particular species of ant, so our exterminators can deal with the removal of the problem fast, whether yours is a house or commercial premises. Once removal of the ants, nest and all, has been completed, you can take precautions to stop them from returning. An infestation of ants in a commercial setting can be more than only a nuisance. Ants in places where food is stored, prepared, or distributed, can be both costly and harmful to a business’s reputation. This is especially true for those in industries where surfaces must be kept sterile, because you don’t know what kind of pathogens the ants have encountered on their march to those premises. Places such as hotels, hospitals, schools, warehouses and offices, or anywhere food is stored, should be ant-free. Removal and management of the and problem is crucial. At Acacia Pest Control we strive to be the best at Identifying, qualifying and delivering ant control exterminators and removal of infestations with solutions that go beyond our customer’s expectations. Most ants in Australia are just a pest, invading houses and other buildings in search of food, and they can be a health hazard. 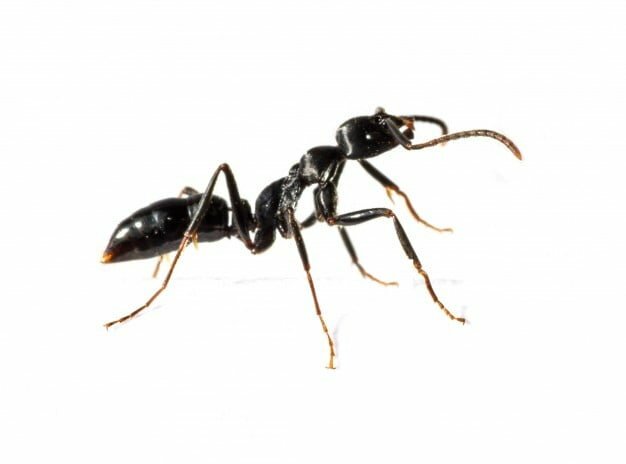 But according to the Guinness Book of Records(1) Australia has the most dangerous, ferocious ant in the world: The bull ant, (Myrmecia pyriformis). This ant is also known as the bulldog ant, and the nasty little critter is found all over Australia, including of course, Geelong – there are 90 different species all with diverse life cycles and behaviours(2). Bull ants have been known to kill people who are allergic or if a person gets multiple bites from swarms of them. They attack with their two large jaws and curl up to sting with their tail at the same time, and they pack a powerful load of formic acid to inject into their victims, which causes a lot of pain. Bull ant nests are famous for the danger they pose – nests can be several metres underground, and some of the smaller species are called ‘jumper ants’ because of their penchant for aggressively leaping at intruders. Bull ants have excellent eyesight and will follow or even chase an intruder quite a distance from a nest mound. 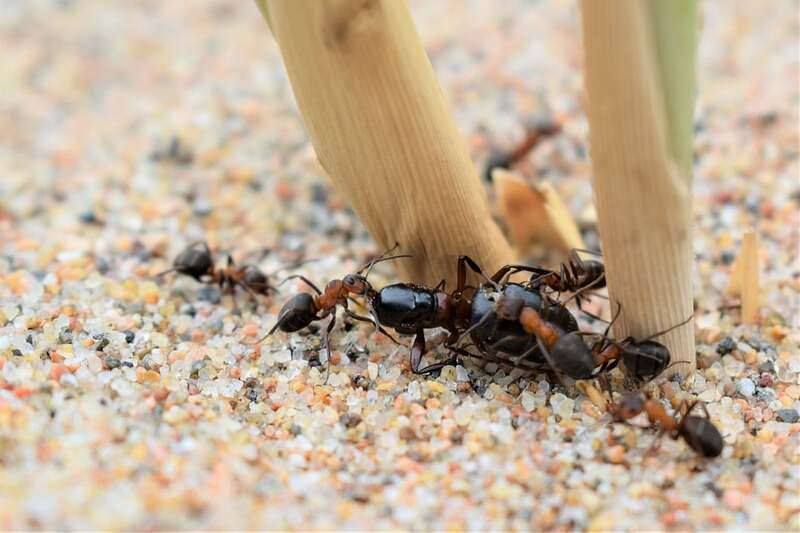 If you find a bull ant nest around your Geelong house or building, you’ll want to call Acacia Pest Control exterminators as soon as possible for removal of the problem. At Acacia Pest Control we not only solve your ant problems, we educate the community about ant control and the need to protect the environment using natural control and removal techniques. Our customers in Geelong can feel secure knowing they’re getting the best ant exterminators available. Acacia Pest Control Services in Geelong has skilled and experienced ant exterminators to solve your ant infestation problem by removal and proper management into the future. Call us, and you won’t need to bother about spraying harmful chemicals in your house, because we use environmentally friendly ant pest control and removal measures. 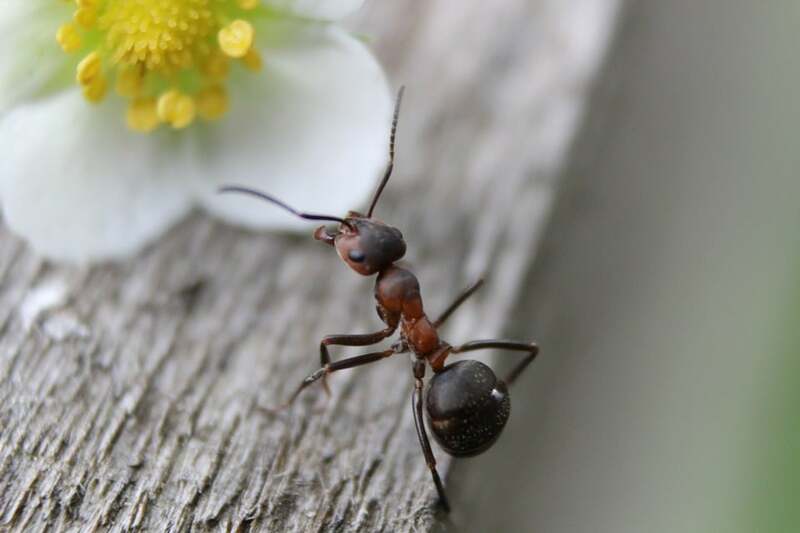 Our ant exterminators in Geelong will inspect your property and ant problem according to the species and devise the best treatment plan and removal technique. Rinse and remove all food containers before throwing them in the house recycle bin. Seal all food containers and close garbage bins properly. Place weather strips on your doors in the house. Get rid of aphids and elevate pot plants. Clean all surfaces in the house, especially if there’s been sugary food prepared on it. Use big bowls of water to place pet food bowls in, creating a moat so ants can’t crawl in, and clean areas where pets are fed. Don’t stack anything against the house. Concrete paving joints should be sealed and fill crevices, cracks, joints, and electrical pipe conduits where ants can get in. Don’t allow trees and shrubs to touch the house, and get rid of rotting wood. If you notice little piles of dirt around holes in the soil or at the bottom of the outside walls of your house or commercial building in Geelong, it’s a sure sign ants are invading it and they need to be dealt with by treatment and removal. If you’ve seen a few black ants on the floor, they could be just having a sniff around for food, but chances are there’s a larger and colony close by. You can try getting rid of the ant pest yourself, but the best plan is to call in the professional ant exterminators at Acacia Pest Control Services in Geelong because they can track down the nest, and deal with the problem, via complete removal, so it doesn’t recur. Ants inside – If you’re seeing a lot of ants or a trail in your house, you’ve got a problem. If ants are congregating on a sweet patch of food, on the floor, or trailing up the walls or on surfaces in the kitchen, it’s time to do something about it, and fast. Ant trails – If you find ants marching in trails in and out of your house or commercial premises, this is a good sign you have a problem. Ant nest – Ant nests look like a little pile of soil or dirt, unless it’s a bull ant nest, which is large. Some ant species set up house in walls, or any dark space you hardly use, so they’re difficult to find. If you’re happy and give us the go-ahead, our Geelong consultant will arrange times for an ant exterminator to visit, treat and deal with the removal of the problem. Several visits might be necessary, depending on the extent of the ant infestation. Regular ant pest inspections of your Geelong premises can be arranged as well, so the problem is controlled, and the ants don’t return. If you’re having a problem with ants in your Geelong home, company offices, or other commercial premises, call Acacia Pest Control on 1300 257 774 or send an email to info@acaciapestcontrol.com.au.